Arab resident of northern Israel handed tough sentence after returning to Israel, refusing to renounce murderous jihadist ideology. An Israeli Arab who joined Al Nusra Front (Jabhat Al Nusra) - Syria's Al Qaeda affiliate - was sentenced to 60 months in jail by Haifa District Court Thursday morning. Amin Snubeir, a resident of Kfar Yassif in northern Israel, crossed the northern border into Syria to join Al Nusra, which is a proscribed terrorist group in Israel. Handing down the ruling, Judge Avraham Elyakim noted that Snubeir had immersed himself in Al Nusra's jihadist ideology prior to enlisting in its forces. "He himself supports the extremist Islamic ideology" preached by Al Qaeda, Elyakim said, which includes the eventual destruction of the State of Israel. On the other hand, Elyakim acknowledged that there was no indication that Snubeir had intended to carry out an attack on Israeli soil. He did, however, join a violent jihadist organization with the intention of killing and being killed, the judge noted, underlining the threat still posed by the terrorist. "The accused - who supports the extremist Salafist ideology of the Jabhat Al Nusra organization, and even aimed to become a 'shahid' (martyr) as part of their 'jihad' - took part in military training and returned of his own accord to Israel," Judge Elyakim stated, describing him as a "ticking time-bomb." The judge further noted that Snubeir had refused to renounce Nusra's ideology, as other returning fighters had done. As a result, he was handed a particularly severe sentence for his crimes - which also include a year under probation and a 35,000 shekel fine. 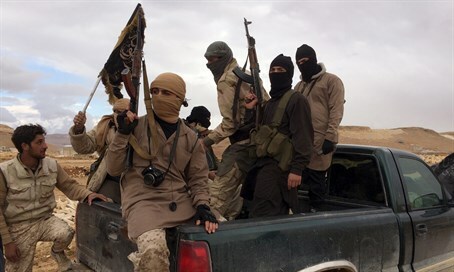 The tough stance reflected security assessments from the Shin Bet and intelligence services that the dozens of Arab citizens of Israel who have joined either Nusra or rival jihadist outfit ISIS pose a significant security threat upon their return.